Enclosed in a large flight house, Butterfly Haven houses about 250 live butterflies in a lush environment. Learn about the development from egg to caterpillar to butterfly, while surrounded by the fluttering creatures themselves. Do not miss the chance to view chrysalis, the cocoons housing developing butterflies. Watch the introductory video, check out the rearing lab, and stop to read explanations offered in both Spanish and English. Try to spot the hummingbirds as they zip through the gardens. 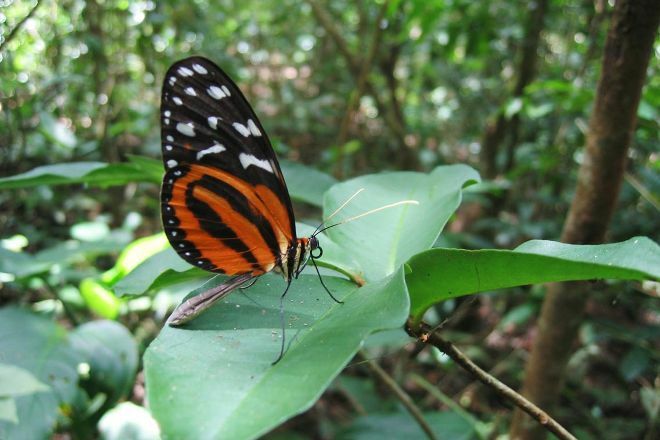 To visit Butterfly Haven and get the most from your holiday in El Valle de Anton, create itinerary details personal to you using our El Valle de Anton trip planner. Good talk, small but nice garden with butterflies. It Was excellent to sit in the middle of the garden. They Also showed a very good and illustrative interactive video. What a great way to spend a few hours, for adults or kids of just about any age (even our 15m old liked it)! Lots of butterflies, and knowledgeable, multilingual, staff are extremely helpful. We have been to similar enclosures in the US, but this was better, being just netted in but otherwise outdoors. Not sure that I would drive a great distance just for this, but if you're in the area I would highly recommend this be on your list. Open every day except Tuesday, $5 for adults, $1.50 for kids 11m and up. Been to other butterfly sanctuaries and exhibits but never with this much interaction. The flew all around us, landed, and hung on as long as you wanted. Our guide was very knowledgeable with a cheerful personality and good English Great for kids. Recommended. Small but beautiful place that employs the locals. Worth seeing. Not expensive. Good cause. Butterflies a plenty! Truly a haven! Beautiful informative experience. Raises awareness on butterfly care, respect and how to avoid de population. Learned so much and even got to feel the butterflies standing on me! Wonderful place to visit for an hour or two. Friendly and knowledgeable staff. Lovely grounds. Every day, we help thousands of travelers plan great vacations. Here are some tips on how to use your Listing Page to attract more travelers to your business - Butterfly Haven. Promote your permanent link - https://www.inspirock.com/panama/el-valle-de-anton/butterfly-haven-a1241362093 - on your website, your blog, and social media. When a traveler builds a plan from this page, the itinerary automatically includes Butterfly Haven. This is a great way for travelers looking for a great vacation in your city or country to also experience Butterfly Haven. Promoting your link also lets your audience know that you are featured on a rapidly growing travel site. In addition, the more this page is used, the more we will promote Butterfly Haven to other Inspirock users. 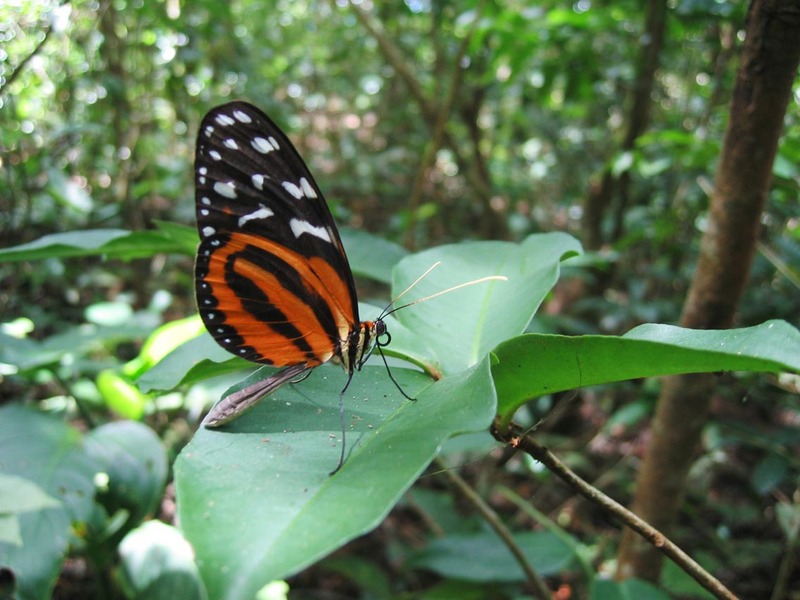 For best results, use the customized Trip Planning Widget for Butterfly Haven on your website. It has all the advantages mentioned above, plus users to your site can conveniently access it directly on your site. Visitors to your site will appreciate you offering them help with planning their vacation. Setting this up takes just a few minutes - Click here for instructions.